Throw all your goodies inside. 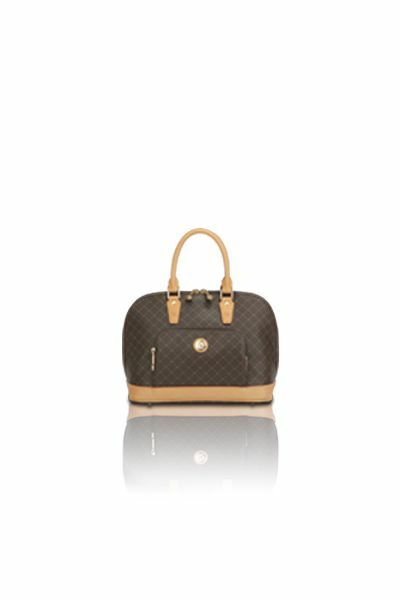 A gentle dark gold ''RR'' RIONI monogram print on solid brown designer canvas body accented with dual-strapped leather handles and trim. Embossed gold RIONI Moda Italia emblem. Front pouch pocket. Rear zipper pocket. Zipper opening entrance. 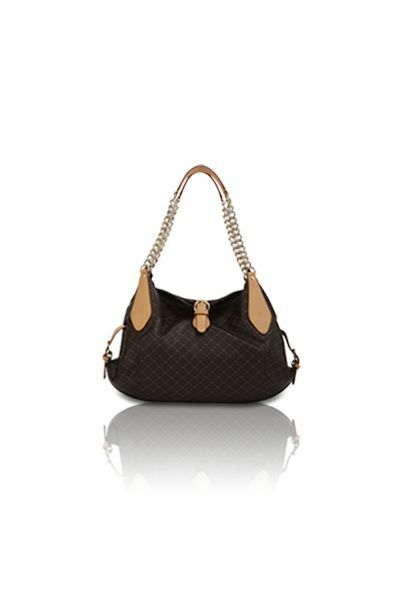 Coffee brown fabric RIONI monogram print lining. Interior cell phone pouch, pocket pouch and a zipper pocket. Also included is a detachable zipper pouch wallet. L17 x W6 x H11"
Product: Tote Traveler was added to cart.